In a spa like oasis bathroom we generally like to mix natural elements to give the appearance that the bathroom is part of the earth. 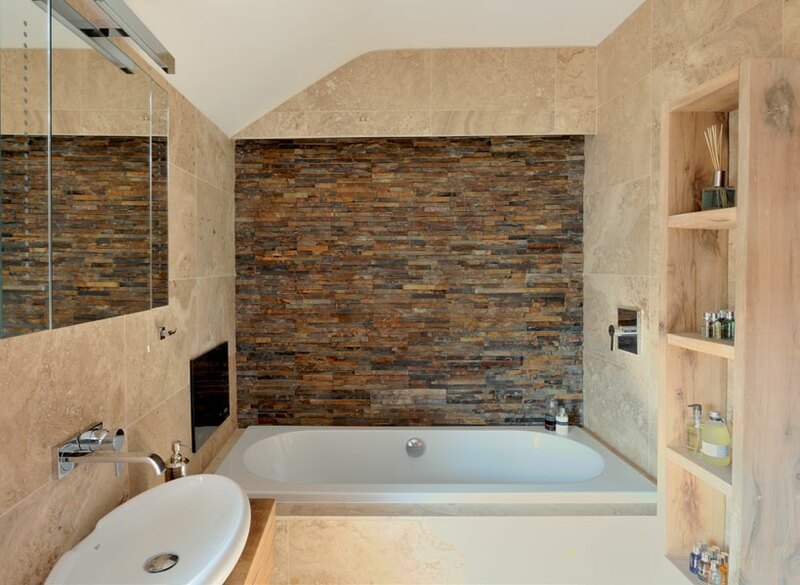 For example here we use a light tone Tavertine tile on all surrounding walls mixed with a darker ledge stone tile as a accent wall. The effects that is created here is of a architectural design build surrounding with exposed bedrock.